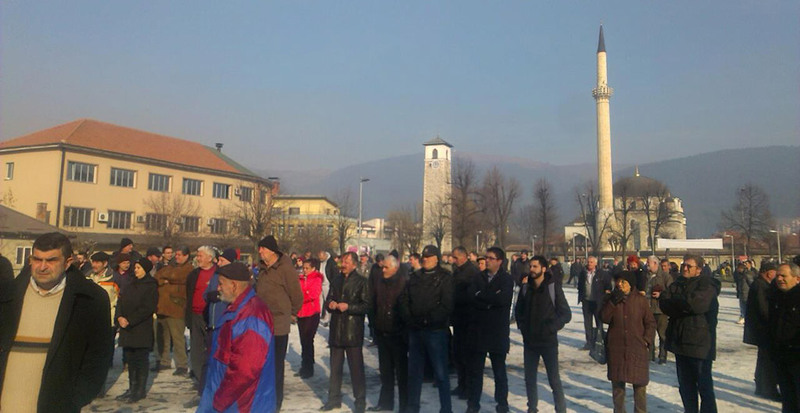 Once again people from Pljevlja in northern Montenegro have taken to the streets to protest against the awful pollution that has been plaguing the town for years. 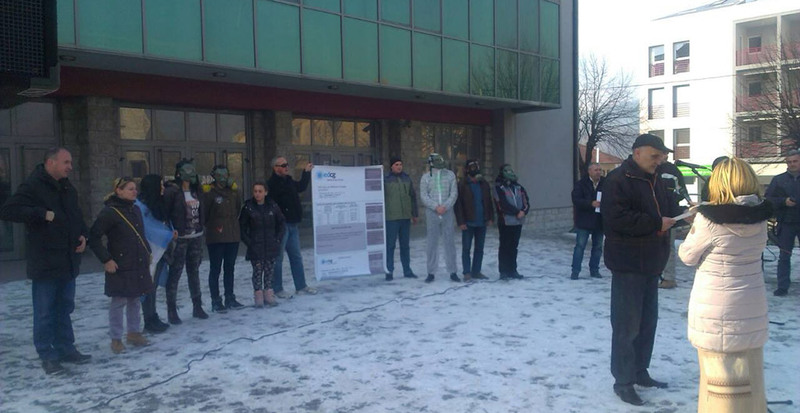 Supported by NGOs Ozon and Green Home, the protest aimed to put pressure on the authorities to take action to resolve the situation, which is caused by the nearby lignite power plant together with domestic burning of coal and wood. While the situation gets worse and worse, the only measures that the authorities have so far come up with are subsidised sales of wood pellets for stoves instead of coal. However two years in a row these have only been available once winter has already started and most people have already bought their fuel. And without incentivising the use of more efficient and appropriate stoves, such measures will achieve very little. 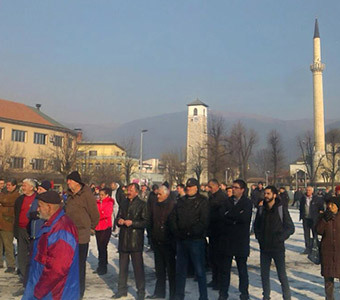 In the longer term, the authorities are claiming that the planned Pljevlja II coal power plant would include district heating that would alleviate the situation. However this claim is false. The power plant would generate heat, but without a separate project to construct the heating pipe network, this would be meaningless. Indeed, the existing plant that was opened in 1982 was also supposed to include district heating, but 34 years later, there is still no sign of it. In the meantime, technology has moved on, and it may well prove more economic to install individual heat pumps rather than district heating. Rather than making fraudulent claims about non-existent benefits of Pljevlja II, the Montenegrin authorities need to finally admit that Pljevlja is at some point in the next few years going to have to undergo a transition away from its dependence on coal. 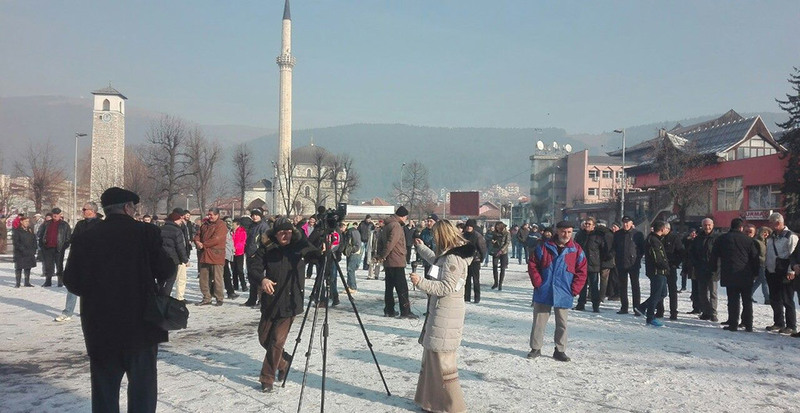 Pljevlja desperately needs a comprehensive and inclusive plan to resolve its increasingly serious environmental and social problems and diversify its economy. Given the increasingly poor economics of coal, the town’s transition will happen anyway, but without a plan it could be a very painful one. All images by Green Home.